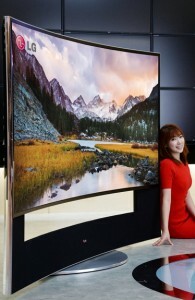 About a month has passed since the year’s biggest event in consumer electronics opened its doors. Many new products and alliances were announced, and with 150,000 visitors and over 3200 exhibitors, the show is big. There was actually a lot more going on than we covered in our previous show report. Now that things have settled down a bit, let’s take another a look at the important announcements and trends at CES. Right before CES opened, Audi, GM, Google, Honda, Hyundai, and NVIDIA (notice the politically correct alphabetical ordering) announced they have joined together to form the Open Automotive Alliance, with the goal of bringing Android to the automobile. Android follows an alphabetical naming scheme. Will an Android Lincoln or Android Lamborghini follow the current Android Kitkat (K)? Bringing a successful mobile OS like Android to the car is a much-needed step. Aside from lots of activity on camera-based automotive safety, innovation inside the automotive dashboard has been slow, especially compared to the smartphone industry. According to the new alliance, you can expect to see the first cars with Android integration by the end of this year. With nearly 80 percent market share in smartphones, Android is bound to play a key role in automotive. We’re ready. 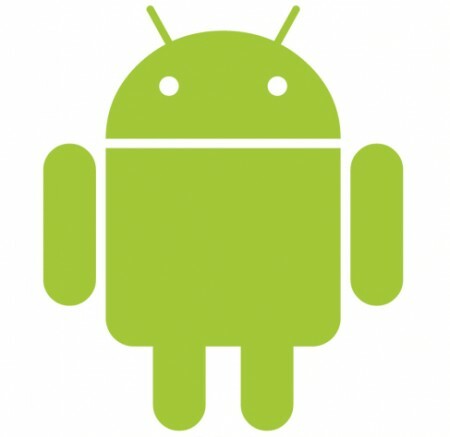 Our unified video/vision processor and accompanying optimized software integrate easily with Android. In the last few years, TV vendors haven’t really made much progress. Yes, TVs have become smart, with web browsers, app stores, and connectivity to Internet-based TV services, but the user experience has typically been slow and not as smooth as on a tablet or smartphone. Watching 3D TV with glasses on never took off, either, and the TV industry has seemed to be turning into a race to the bottom. The result: a 42” TV these days costs less than a 42” sheet of glass to replace a broken windowpane. This year at CES, things changed. Many new TV improvements were on display, most of them focusing on the key aspect of watching TV: picture quality. Many vendors showed UHD resolution, also known as 4K, screens, which have four times the pixels of Full HD (also known as 1080p). Samsung and LG showed curved displays, to create a “theatrical viewing effect.” Additionally, LG had several new OLED-based TVs on display, bringing greater contrast and better viewing angles. OLED has been plagued with production and lifespan issues in the past. Is this the year that OLED finally takes off? All of this improvement must be very expensive, right? Vizio proved otherwise and introduced the first sub-$1000 4K TV. The takeaway: picture quality is back, and 4K is a key enabler. Our high-performance unified video/vision processor architecture is right there with it, scaling to address the requirements of high-resolution video processing. About a month before CES, Apple set the stage and acquired original Xbox Kinect maker Primesense, for a rumored $350M. Gesture interfacing has been a great success for gaming, and the next step is to take the technology to mobile phones, tablets, PCs, and other consumer electronics. CES saw many new demos and announcements. Toshiba introduced a camera module that is able to simultaneously output recorded images and depth data. PMD showed its pico XS, at 4×15.5×39.5mm a very small time-of-flight depth camera. Using their unique sensor, Tobii and Steel Series showed off eye-tracking technology as a way to control games using your eyes. Intel’s big announcement at the show was its RealSense 3D camera, targeted at gesture-based interaction on the PC. Gestigon showed its unique skeleton tracking and gesture control. Crunchfish presented its touchless software in the OmniVision suite. Instead of relying on a depth sensor, the Crunchfish technology detects and tracks objects using only the embedded camera in a mobile device. Gesture interfaces and new depth sensors are disruptive technologies that enable new user experiences. Where do we fit in? The videantis v-MP4000HDX architecture enables power-efficient and fast algorithms for natural user interfaces. Speed is key to warrant a great user experience, and low-power operation is crucial to avoid draining the battery with these always-on camera-based interfaces. After raising $75M in funding in December and hiring John Carmack over the summer, Oculus VR took home more than 10 awards, including Best in Show from Engadget, the Verge, and Wired. Valve announced 13 Steam Machines, in various sizes, prices, and configurations. Unfortunately, they can only play a fraction of the games available on Steam. 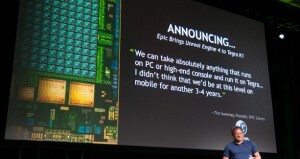 NVIDIA announced its latest mobile platform, the Tegra K1. With double the performance of current-generation Xbox 360 and PlayStation 3 consoles, NVIDIA positions its latest mobile applications processor as a gaming powerhouse. The takeaway? Serious gaming is not just for consoles and PCs anymore. Image and video processing plays a key role in many video games, making this another key interesting market for us. Lots of activity here. Besides higher-end drones that are primarily used for aerial photography, such as those from DJI and 3DRobotics, a new category is opening up for smaller, less costly, and probably more enjoyable drones that can also operate indoors. Kickstarter has quite a few projects targeting this space. The big announcement at CES came from Parrot, which launched two new toy robots: one primarily flies, but also includes wheels that allow it to glide along walls or the ceiling, and one that doesn’t fly but can jump. Always Innovating has developed a small nano drone that takes your selfies and can follow you around. Shortly after CES, Renault even came up with a concept car that includes a quadrocopter that can launch from a compartment in the car’s roof, scouting the road ahead. The flying electronics industry is in its infancy, but it’s bound to take off. Cameras and video processing play a big role in drone technology, both for collecting and streaming video from the unique air-bound viewing positions, but also for video analytics, which can be used to autonomously navigate the drone. A high-performance, low-power computer vision acceleration subsystem such as our v-MP4000HDX processor architecture is a key component of intelligent and flying drones. They just missed the CES window—or maybe that was intentional—but the MPEG LA recently announced licensing terms for HEVC/H.265, making the royalty situation for HEVC-based video coding quite a bit more clear. The key thing that these automotive safety systems for cars, gaming platforms, flying toys, TVs, and gesture interfaces all have in common is that they’re enabled by cameras and video processing. That’s the reason the image sensor industry is currently outpacing the semiconductor industry. Needless to say, the trend excites us at videantis. We’ve been building and optimizing our efficient video processing systems for over a decade. Next up is the Mobile World Congress, the other big event of the year, where we’ll see lots of new product announcements centered around the mobile phone. Please schedule a meeting with us to see our latest demonstrations and discuss your video processing requirements.